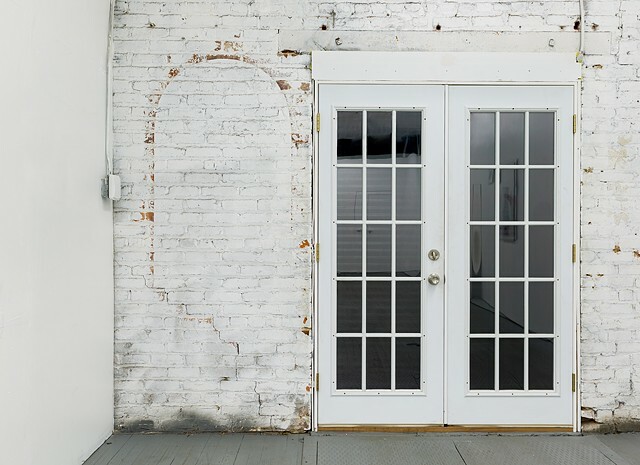 This installation used a controversial development site in Bushwick –the former Rheingold Brewery– as a point of departure for the work. Using archival photographs of the Rheingold manufacturing plant taken just before its demolition in 1982, this architectural intervention began by using the shape of the iconic arched windows of the original structure. By intervening in the gallery's existing structure, (cuts in the sheetrock walls and scraped-away paint,) the piece aimed to speak to the layered and complex process of gentrification and urban change in Bushwick.